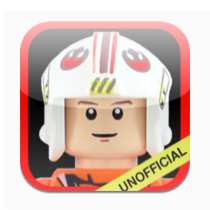 Yesterday the MyMinis update for series 8 was submitted, so it should be live/approved in a little over a week, as currently the app store approval wait time seems to be about 10 days. I was luckily able to find the figs at a Toys R Us store here in a few days ago, but they then appeared in the Lego store yesterday for the time, so September 1 seems to be the official US release date. They come in a black bag this time and most of them were easy to find but there were a few surprises. The Conquistador is my favorite! The Touch Guide in the app will help you find them easily. I also fixed the picture for the Bride in Series 7 as her dress was on backwards, and added some additional pictures to the Series 7 Touch Guide.